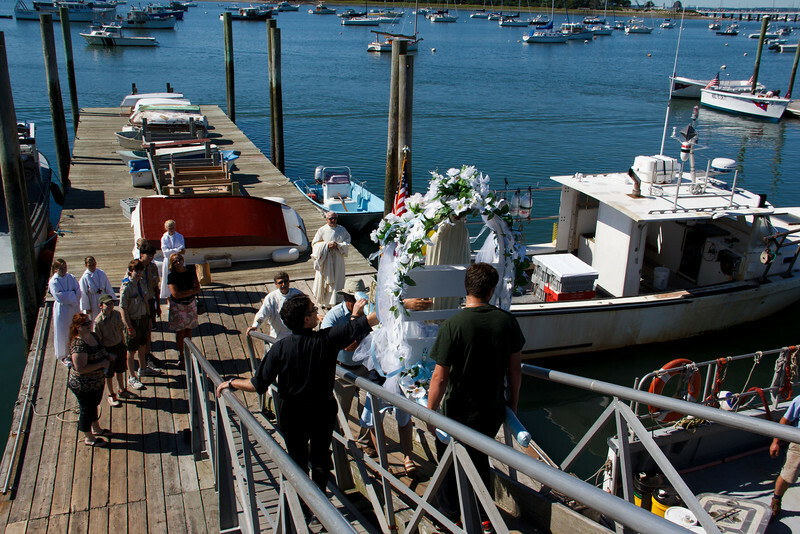 St. Mary of the Assumption at St. Ann's Church in Hull celebrates their parish feast Sunday Aug. 11, 2013 with a procession that began with a decorated statue of the Virgin Mary arriving by boat at the town’s A Street Pier. The statute was then carried though the town streets to the church for the Mass. "Let us Show you how to make Money for Your Church" Carroll's "Tree of Life"